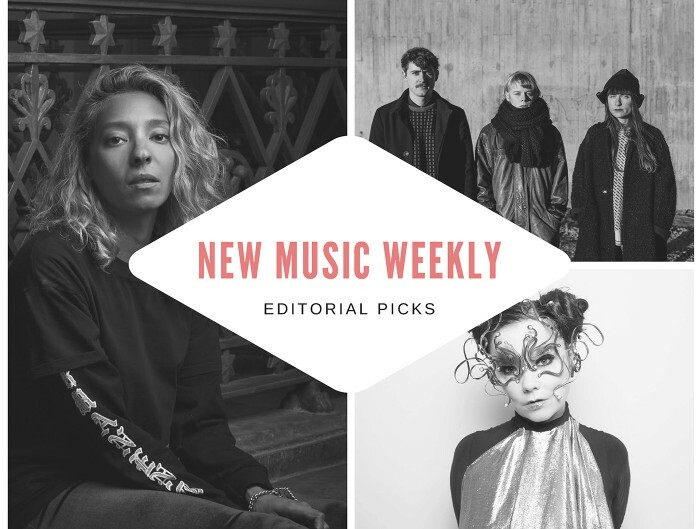 Every Friday we select the best new tracks and videos from all around Scandinavia and present our editorial picks in the New Music Weekly series. This week we are featuring new Nordic releases from Jakob Ogawa, Ina Wroldsen, GENTS, Blytt, Jenny Hval, Soleima, Taken By Trees & Anna Henriksson. ‘Velvet Light’ is the latest single (and first one in 2018) from 20-year old Jakob Ogawa from Oslo, Norway. The lo-fi bedroom pop artist is definitely one to watch this year! Also check out his ‘Bedroom Tapes’ EP from last year if you haven’t done it so far! Norwegian singer-songwriter Ina Wroldsen released her newest solo single ‘Sea’ off her recently announced EP ‘Hex’, which will be released on June 15. The single was released with an enchanting video directed by multi award-winning Norwegian talent Thor Brenne who has already worked with Norway’s most exciting artists. “This song is very special to me. It’s about my love for Norway and about how I feel a connection to the North Sea.” says Ina. ‘Empty Shell’ and ‘Part Time Lover’ are the latest tracks comprising of double single ‘MOMENTS’ from Theis Vesterløkke and Niels Fejrskov of Copenhagen duo GENTS. A track done in the track’s characteristic, “spa pop” style, the tracks resonate of a famed Scandinavian melancholy. Pop group Blytt from Sweden just released their track ‘Closer’. With nods to Italo house and gleaming 80s electronic pop, the track throbs on synth bass, atmospheric keys add a layer of foreboding and over all that Kjersti Marie Blytt’s icy-cool vocal delivers lines about overcoming loneliness. Norwegian experimental artist Jenny Hval released her new track ‘Spells’. The song starts with rumbling horns, pianos, strings, and saxophones before settling into a cool sophisti-pop groove, giving her a chance to show off her singing voice as the whole arrangement floats out into space. Her new ‘The Long Sleep’ EP will be released on May 25 via Sacred Bones Records.